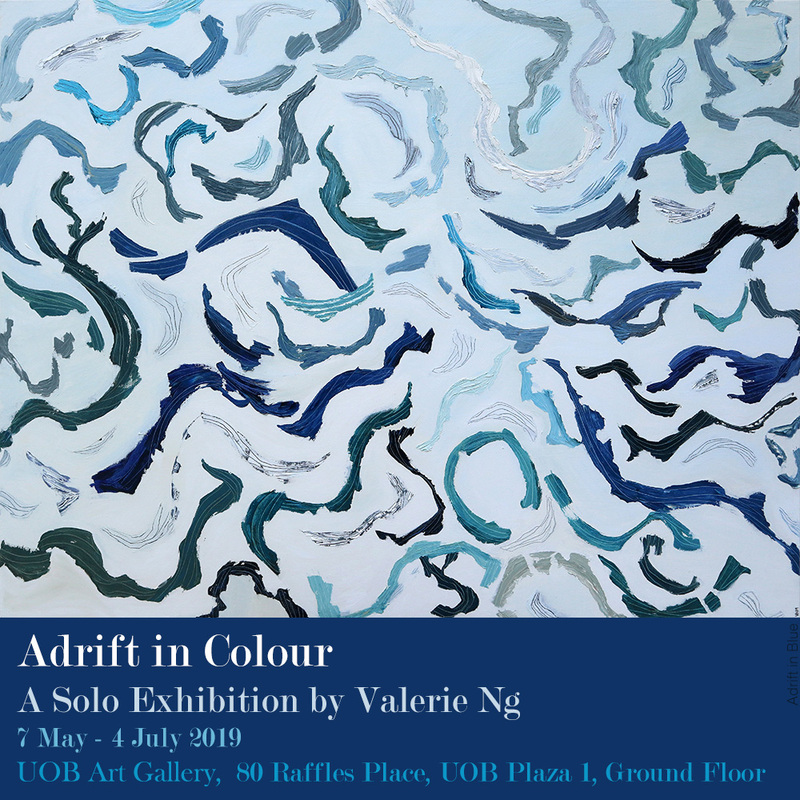 ‘Adrift in Colour’ features 15 abstract paintings with natural hues being carried along by the elements of air or water. Pulling you into its atmosphere in a fluid ebb and flow of texture to get lost in the contours of light and formations. Using transitions in gradients, blending and unfurling to evoke the wind or currents moving along organic curves and interweaving strata floating in space. Explored through an intuitive process of gestural strokes, thick paint with drawn lines and varying quick or deliberate marks to create an imaginary universe. 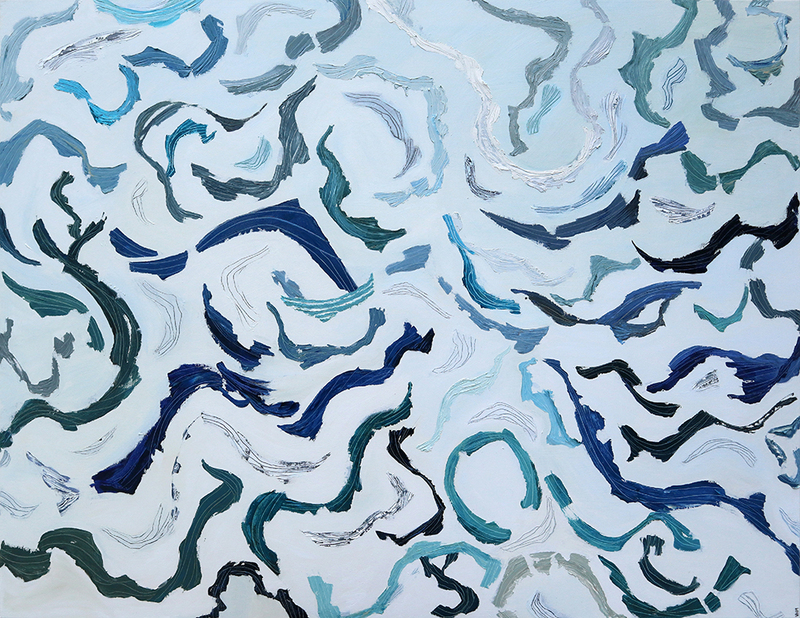 The works in the exhibition include an earlier series of denser geological inspired paintings. They have subsequently morphed into a more ethereal sphere dispersing across the surface, while still considering nature’s forces at play and connected by the rhythm of colour.